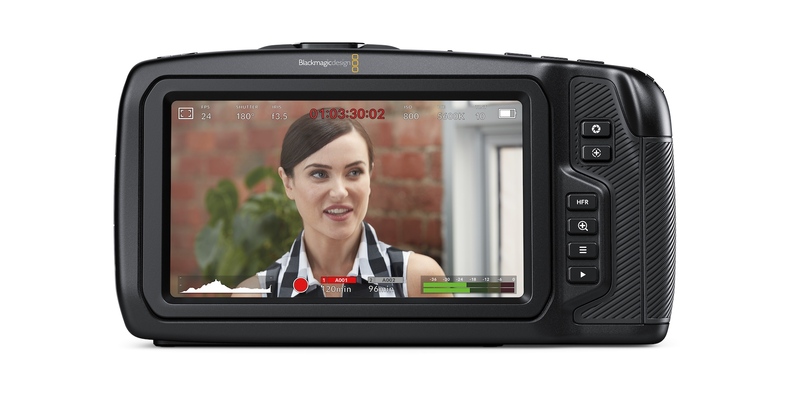 Blackmagic Design today announced the new Pocket Cinema Camera 4K. 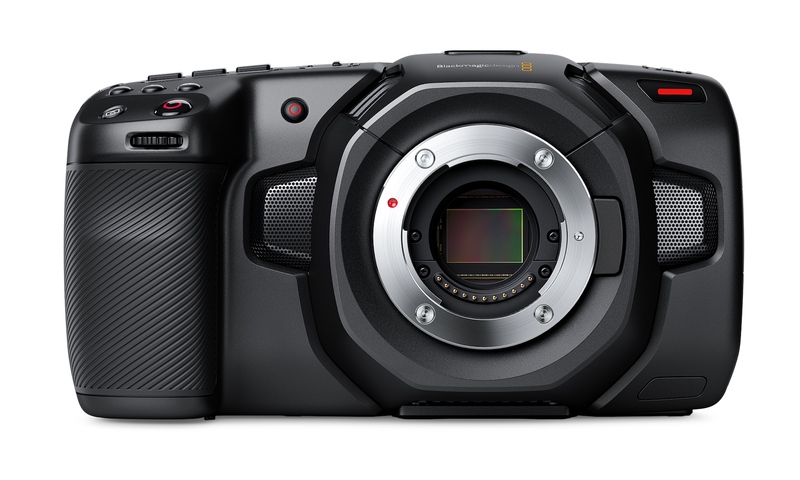 The new Blackmagic Design Pocket Cinema Camera 4K has been a heavily requested camera from users of the original version. 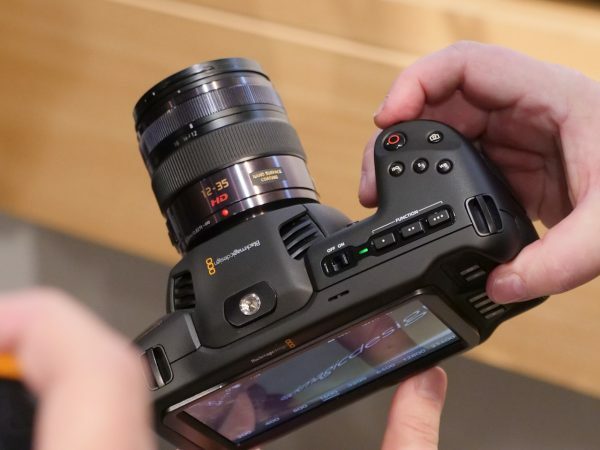 Although the new 4K model in name is still a Pocket Camera its body is much larger made of a new carbon fiber polycarbonate composite The camera has a Canon LP-E6 battery that should power the camera much better for longer run times. 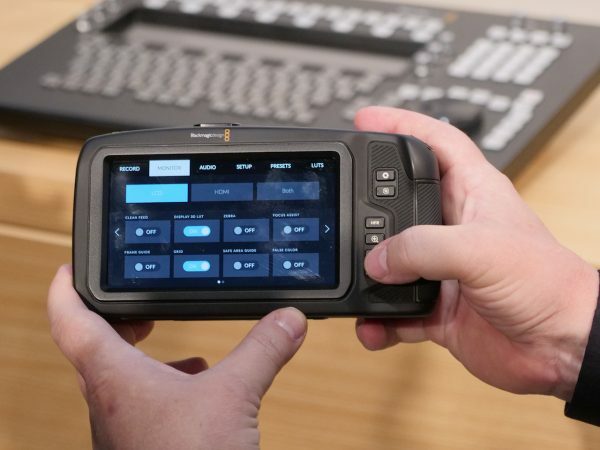 The touchscreen looks very similar to the URSA Mini Pro and is easy to navigate. Unlike the original Pocket Cinema Camera the 4K model comes with DaVinci Resolve Studio that retails for $299 US. 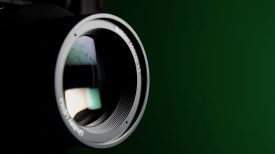 The new camera sports a new full size 4/3 HDR sensor with a native 4096 x 2160 resolution with 13 stops of dynamic range. 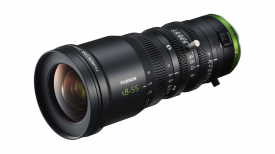 The full size of the 4/3 sensor is designed to match MFT lenses so the crop factor is greatly reduced. We asked if ProRes RAW would be added however at this time BMD’s CinemaDNG RAW is what the Pocket Cinema Camera 4K will use. An interesting option is the Pocket Cinema Camera 4K shoots stills as well. 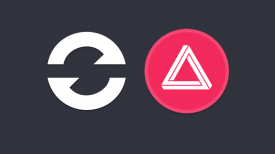 This takes a video-centric camera and turns it into a hybrid video camera. 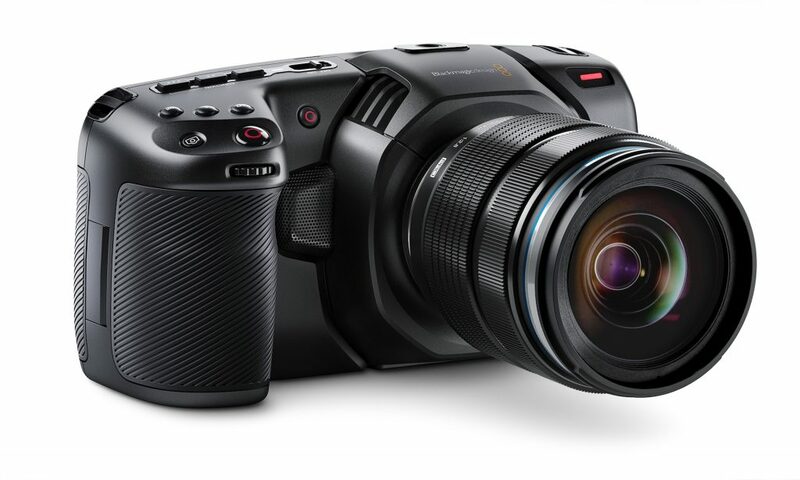 The Blackmagic Pocket Cinema Camera 4K features an active MFT lens mount, large 5-inch touchscreen monitor, 10-bit ProRes and 12-bit RAW recording, 3D LUTs, 4 built-in microphones, mini XLR audio input with phantom power, Bluetooth wireless camera control, HDMI on-set monitoring output and more. 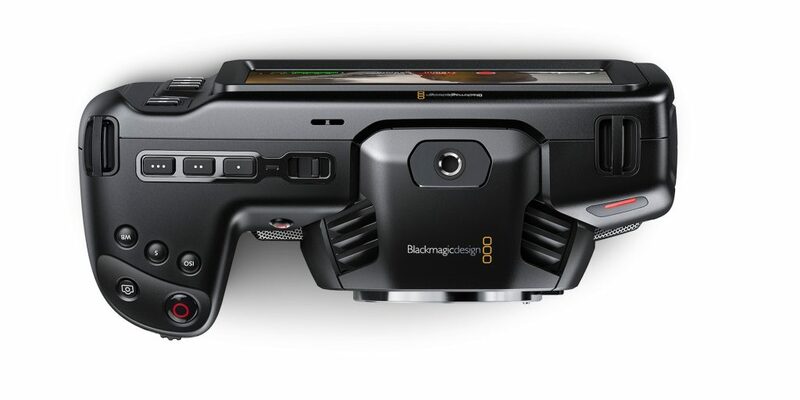 The camera features the latest Blackmagic Design color science as well. 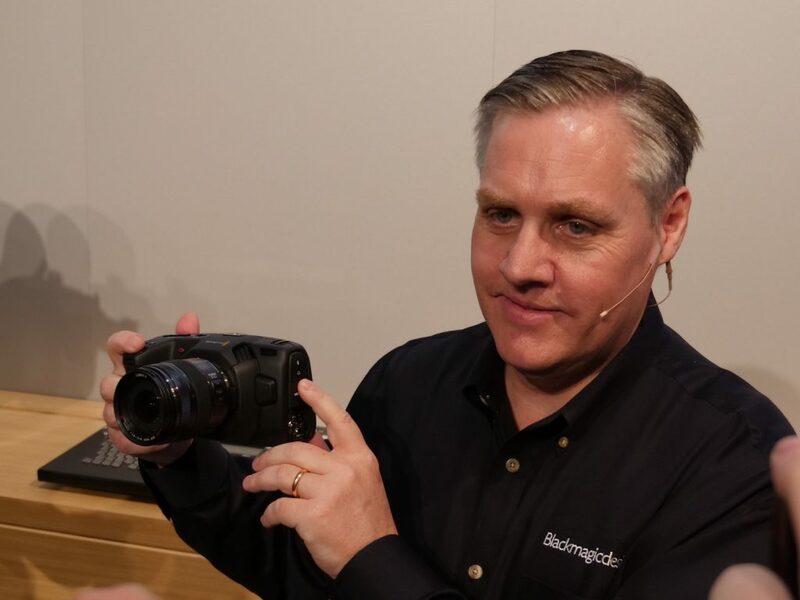 The Blackmagic Pocket Cinema Camera 4K can record 4K images at up to 60 frames per second and windowed HD at up to 120 frames per second. It’s also the first camera that lets users record directly onto the same exact external USB-C media drives they use for editing and color correction. 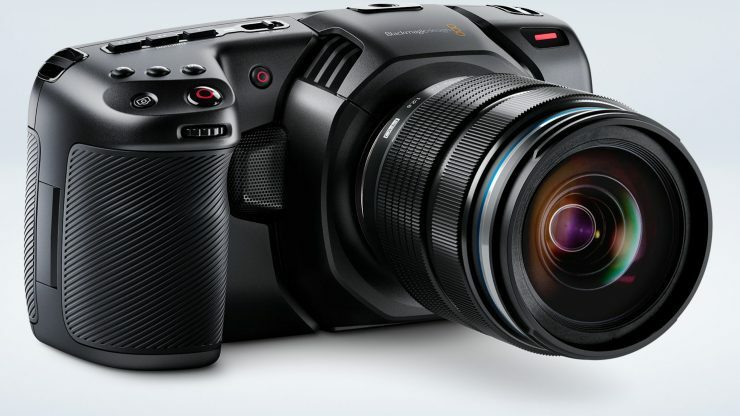 For audio, the Blackmagic Pocket Cinema Camera 4K features 4 built-in microphones with a low noise floor, a mini XLR input with 48-volts of phantom power to connect professional microphones and a 3.5mm stereo audio jack for connecting different types of video camera microphones. The price is going to be $1295.